The 29th annual Yachts Miami Beach will introduce a new look and layout for 2017. Organizers said the city&apos;s premier in-water luxury yacht show is set to take place Feb. 16-20 on Collins Avenue across from the legendary Fontainebleau and Eden Roc hotels. Yachts Miami Beach attracts thousands of people from around the world to a spectacular display of yachts and marine products, including more than 500 new and brokerage yachts and a wide array of the latest marine technology and accessories, valued at more than $1 billion. In addition to the remarkable display of yachts, the show offers floating cocktail lounges, food and live musical entertainment. 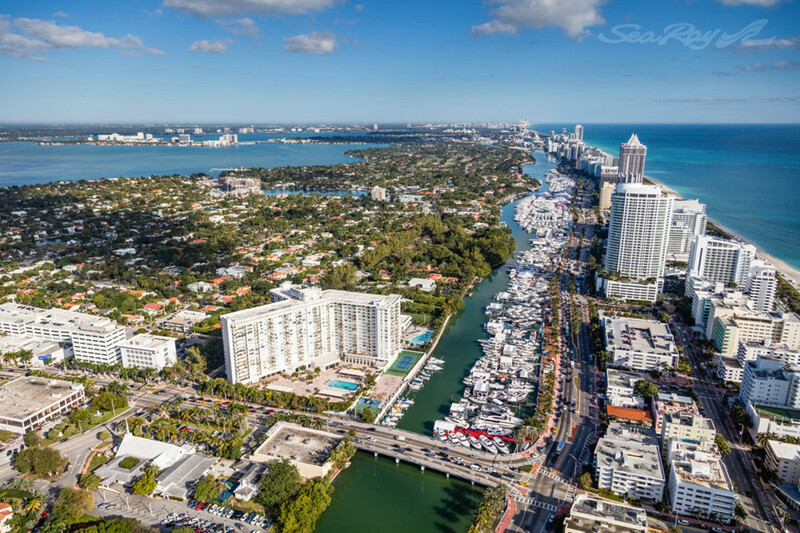 Show Management and the Florida Yachts Brokers Association, which co-own the show, engaged EDSA, one of the world&apos;s foremost design companies, to reimagine Yachts Miami Beach. "EDSA has translated our vision for engagement between exhibitors and buyers into a new, strategic and aesthetically pleasing design for Yachts Miami Beach," Show Management senior vice president and COO Dane Graziano said in a statement. "We have expanded show marketing this year to share our excitement about this great new experience planned for the Miami Beach boat show weekend in February." Spanning more than a mile along Collins Avenue from 41st Street to 54th Street, the show&apos;s new layout highlights its picturesque, waterfront location along Indian Creek Waterway. Attendees will enter through five artfully designed show entrances, each with attractive wayfinding graphics and an information booth. Entry to the show is $20 per person per day. Also for the first time ever, guests can arrive at the show aboard free water taxis connected to new, convenient parking locations. From the north, water taxi service embarks from the Miami Beach Rowing Club on 65th Street. Convenient parking is available at the 67th Street parking garage. From the south, guests can park at the 17th Street Miami Beach Convention Center parking garage and hop a quick shuttle to the water taxi at 24th Street and Collins Avenue at the Traymore Hotel dock. Two different boat shows take place in Miami and Miami Beach during Presidents Day weekend in February. Yachts Miami Beach is managed, produced and co-owned by Show Management and co-owned and sponsored by the Florida Yacht Brokers Association. It is completely separate from the Miami International Boat Show on Virginia Key.